Monte Carlo Rally is the oldest and most prestigious of WRC events but right behind it comes what once was known as RAC Rally, now renamed as Rally GB. 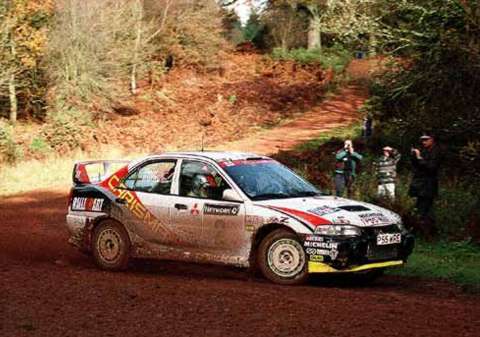 Even though british success on their home event was relatively nonexistent before Colin's and Richard's hat tricks, the RAC Rally has enjoyed almost unparalled support from both the local and foreign spectators. In late fall, weather in UK is predominantly wet. Indeed, it is for rain, fog and mud that RAC Rally is known for. And it is the weather which makes this rally so challenging. If forest stages would be dry, rally would not be that different from many other smooth gravel rallies. But when wet, surface turns muddy and grip is at premium. Besides the weather, another unique feature of the rally was the fact that for a long it had secret route. Only in 1989 pace notes were allowed on spectator stages of the first day and next year crews could carry out recce on entire route. Reason for recce ban was the fact that all stages were held in a private land because law forbade public roads to be closed in order to be used for rallies (until 1997 when Jim Clark Memorial became first closed public road rally in british mainland). Tears of both joy and disappointment have flowed freely in RAC. It has traditionally been the final rally of the season and overall winner has often gone almost forgotten while championship winners and losers have stolen the limelight. 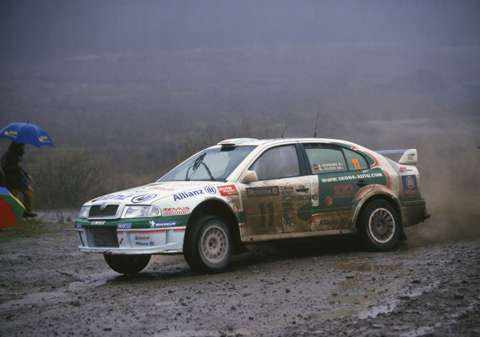 The most tragic scene unfolded in 1998 at Margam Park when engine of Carlos Sainz's Corolla expired, just 500 meters from the end of the stage, costing spaniard his third world title in a most cruel way. In typical RAC conditions the last thing you want is to get your windscreen wipers entangled. Even if sun makes occasional appearance, stage surface never really dries up. This is Burns in 1997. 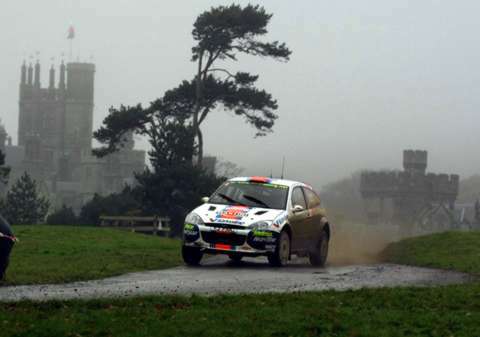 In the past, first day consisted of very short spectator stages, a Mickey Mouse stuff like Colin summed it up.